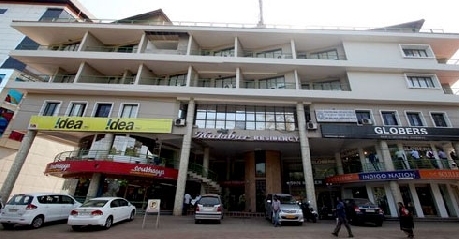 Located in the heart of the city Kannur, Malabar Residency is a three star property offering comfortable and luxurious accommodation option to patrons along with a host of other facilities. The hotel was established in the year 2000 and since then it has served many local and foreign tourist who visit this historic city for business or leisure trips. The hotel offer four varieties of rooms i.e. Non AC rooms, Standard rooms, Residency Rooms and Malabar Suites to cater to its diverse client base. 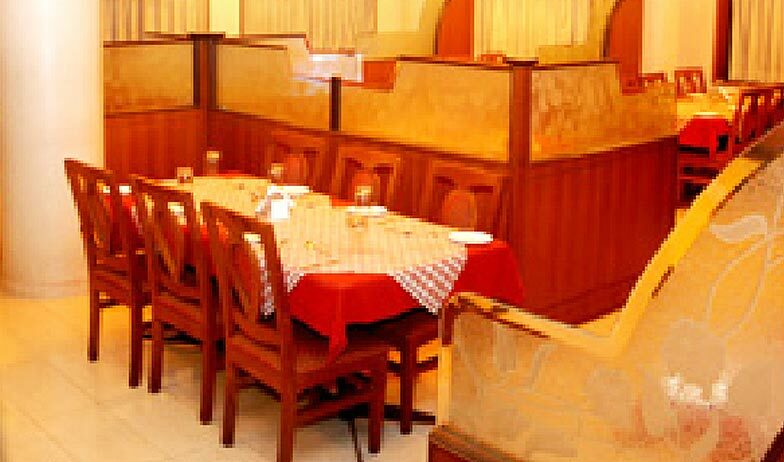 In addition to this, the hotel also boasts of an in house multi cuisine restaurant by the name of ‘The Grand Plaza’ which specializes in Indian, Chinese, Continental and local Kerelite cuisines. 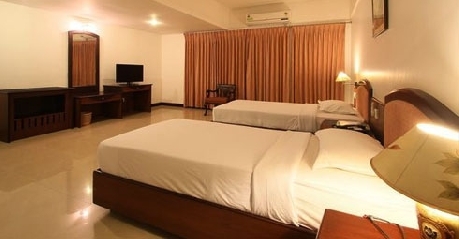 The hotel believes in client centric approach and therefore has developed host of facilities and features to offer a very relaxed and unique staying experience to patrons. One of the major highlights of this hotel is its technologically advanced conferencing setup. 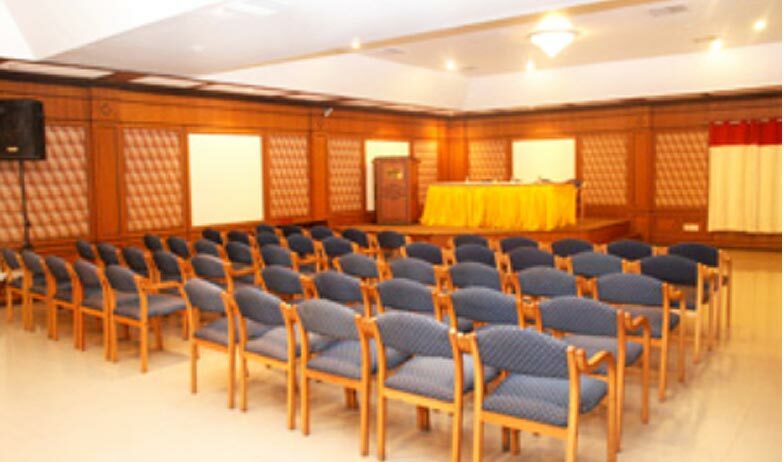 The hotel offers Millennium Hall which is spread across an area of 1800 square feet, has seating capacity of 300 people and can be divided into two sections for multiple functions such as corporate conferences, seminars, social events and others. Apart from this there is also a small Board room meeting hall which can seat upto 50 people for small events and functions. 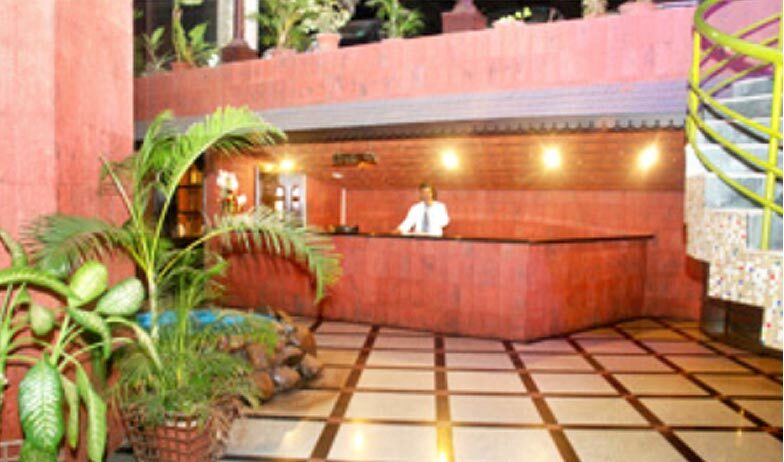 The hotel also boasts of a 24 hour coffee shop, where patrons can relax and catch up over a beverage of their choice. Non AC rooms are very simple rooms that lack any grand designing marvels, but are very comfortable to stay in. 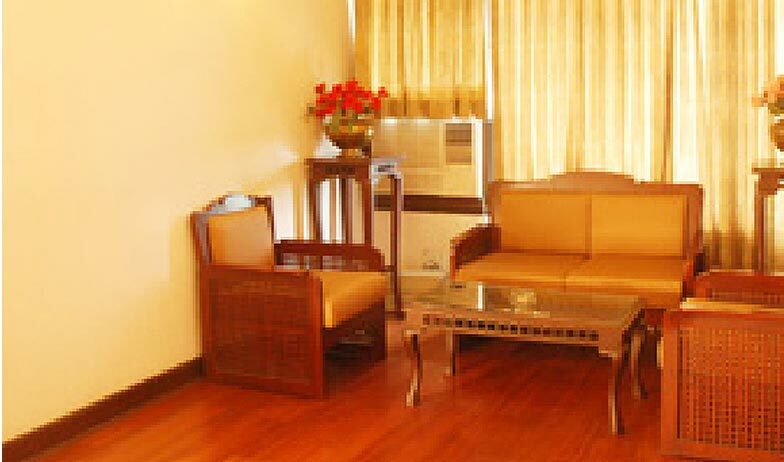 The Non AC rooms are aimed at people who are looking for basic amenities on a tight budget. Basic amenities such as telephone connection, private bathroom, color television with satellite connectivity and daily newspaper service are included as a part of the package for these rooms. Standard Air Conditioned Rooms are comfortable rooms that are inspired by the modern design elements which instill liveliness in the décor. 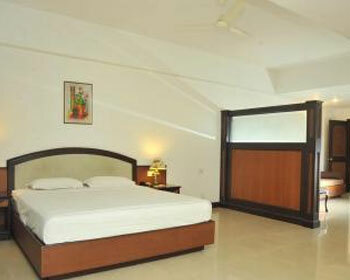 The rooms are offered with a choice of either a King Size Bed or twin beds as per the requirement of clients. Apart from the modern look and appeal, these rooms are equipped with finest amenities such as complimentary high speed internet access, 24 hour room service, 32 inch LED color television with premium channels, complimentary mineral water bottle, individual air conditioning system, same day laundry service, daily news paper service, complimentary breakfast and writing desk. Patrons can also avail crib facility upon request. Exhibiting perfect blend of charm and elegance, the Residency rooms are the finest room option that Malabar Residency Hotel has to offer. The rooms are larger than standard ones and have more rich and luxurious feel and appeal. The spacious rooms are divided into separate living and dinning areas for the convenience of the clients. Apart from this, they are equipped with premium room amenities such as same day laundry service, writing desk, complimentary breakfast, morning newspaper service, complimentary mineral water bottle, complimentary high speed internet access, 24 hour room service, 32 inch LED television with satellite connection and premium channels, individual climate control and air conditioning along with electronic safety deposit locker. Clients can also avail Crib facility upon special request. High on décor, luxury, amenities and quality standards; the Malabar Suites are themed apartments that offer completely homely comfort during patrons stay at Malabar Residency. These Suites consist of a living room, dining room and a separate bedding area to ensure complete comfort to the client. Furthermore, to cater to diverse requirements of its clientele, they are offered in single bedrooms standard suite and two bedroom executive suite options. They are also fitted with finest and most premium room services and amenities such as writing desk, daily morning newspaper service, complimentary breakfast, one complimentary mineral water bottle, 32 inch LED color television with satellite connectivity and premium channels, electronic safety deposit locker, same day laundry service, individual air conditioning control, mini bar or refrigerator, 24 hour room service, complimentary high speed internet access and many others. Patrons traveling with infants can avail crib facility upon special request. 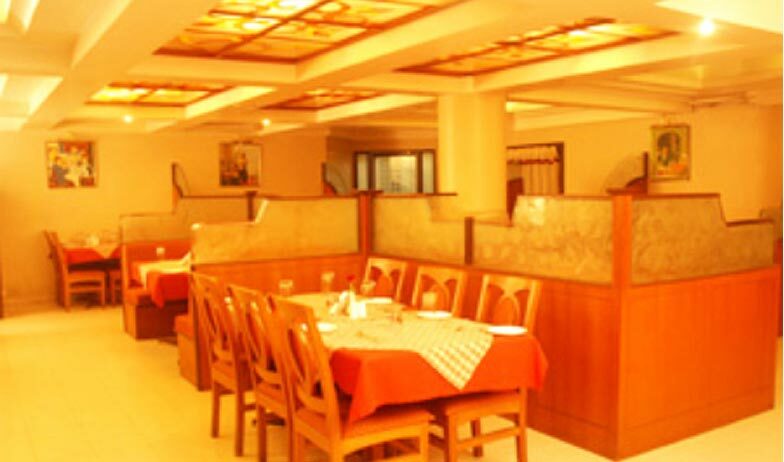 Malabar Residency provides its guests with fabulous accommodation facilities. 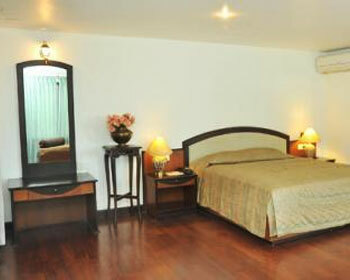 The hotel offers 35 well-furnished and tastefully appointed rooms to its guests. 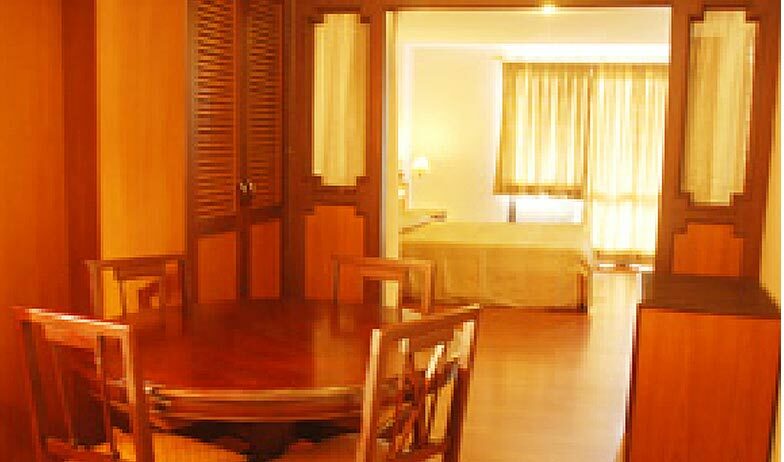 The rooms in Malabar Residency are categorized as 5 single rooms, 20 double rooms, 9 deluxe rooms and 2 suites. 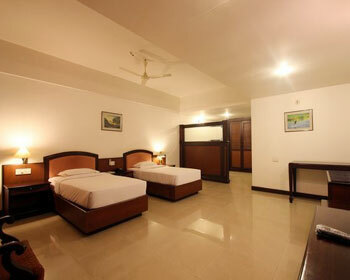 All the rooms are spacious and well equipped with modern amenities.